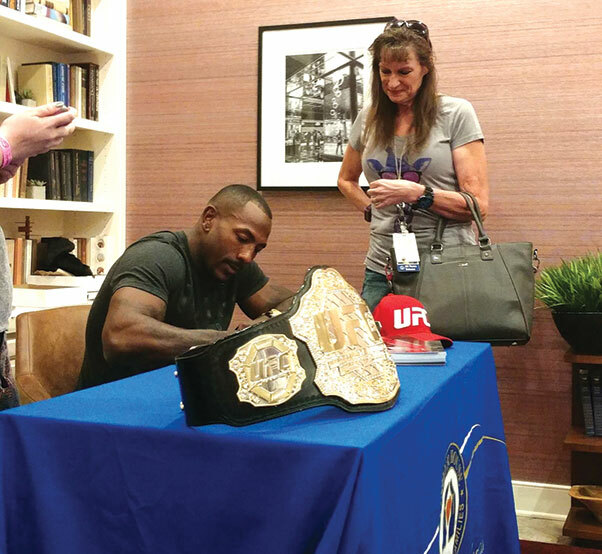 UFC Fighter Khalil “The War Horse” Rountree signs an autograph at the North Las Vegas Fisher House Founders Day Open House Sept. 23. 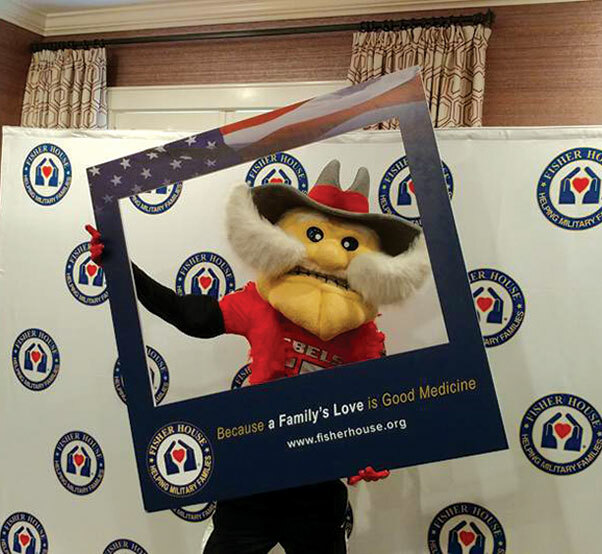 On Sept. 23, the VA Southern Nevada Fisher House celebrated Founders Day with an open house. The house contains 16 suites that are free for veterans, military and family members who are receiving care at the VA Southern Nevada Healthcare System and the Mike O’Callaghan Federal Medical Center at Nellis Air Force Base. During the open house, visitors could tour the facilities, eat some barbecue, and enjoy entertainment from UFC fighters, the UNLV Cheerleading Squad and “Hey Reb” — the UNLV mascot. The UNLV cheerleaders were on hand for the open house. The North Las Vegas Fisher House was opened in February 2016. The 16-suite, 13,500 square-foot “comfort home” joins the other 65 plus Fisher Houses operating in the United States and Europe. Each bedroom suite comes equipped with a private, handicapped-accessible bathroom. Common areas include a spacious kitchen, large communal living, dining and family rooms, laundry room and patio. Fisher House Foundation is best known for a network of comfort homes where military and veterans’ families can stay at no cost while a loved one is receiving treatment. 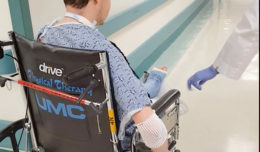 These homes are located at major military and VA medical centers nationwide, and in Europe, close to the medical center or hospital it serves. The UNLV mascot — Hey Reb — was on hand for the open house.